The Expendables 3 will be more Aussie-oriented movie than the previous two Expendables ensemble actioners with up-and-coming Aussie director Patrick Hughes and Mel Gibson who has signed on to play the villain. 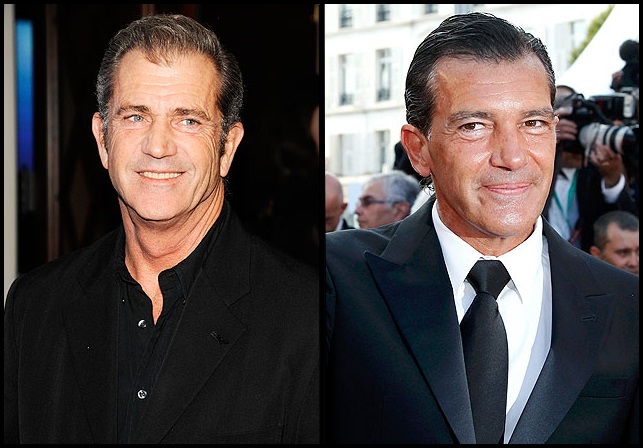 His Machete Kills co-star, Antonio Banderas is also joining the cast for an unspecified role. First revealed weeks ago via TheSlyStallone Twitter account, the possibility of both castings becomes reality. Antonio B. …? Could be. These deals are being negotiated up to the last day. The franchise is going to have a lot of new and exciting blood in it. He is a consummate actor and a gentleman. On the other side, Gibson is treading where the likes of Jean-Claude Van Damme and Eric Roberts have gone before. After reportedly demanding $1 million per day in salary to appear in the series’ third film, Stallone nabbed Harrison Ford instead of Bruce Willis for a role. The Expendables 3 already has Stallone himself, Arnold Schwarzenegger,Jason Statham, Ronda Rousey, Victor Ortiz, Milla Jovovich, Wesley Snipes, Jackie Chan and Kellan Lutz involved and shooting begins later this year for an August 15th, 2014 release date.